Do You Need HVAC Repair Service? 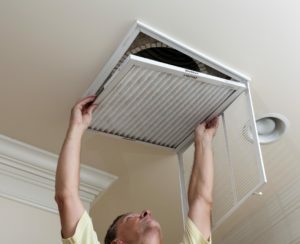 Finding the Right HVAC Repair Service! Winter months are just around the corner. Finding the right HVAC Repair Service company can leave you feeling confused and frustrated. You can’t have a non-functioning furnace in your residence, especially in the wintertime. What do you do if your furnace malfunctions or simply doesn’t deliver enough warmth to keep you comfortable in your cool Tomball, TX home? Below are some things to look at before calling a Tomball HVAC repair service. These useful tips can save you time and money. This way, you’re not making a huge expense of a simple issue that could be simply solved. If none of these suggestions work, then you most definitely want to call a professional Tomball, TX HVAC contractor. This sounds like a no-brainer! 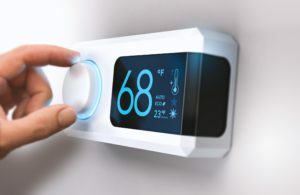 You won’t believe a huge number of homeowners have made the simple mistake of having the incorrect thermostat settings on their furnace. Calling for HVAC Repair Service before checking this could cost you. Be sure that the thermostat of your furnace is on heat setting. This is the very first thing you should look for when trying to resolve the issue on your own. There are times when the setting can be moved or changed by accident, like when those times when you are house cleaning. Additionally, remember to put the thermostat to a temperature that will make the furnace come on. It takes about a minute for the fan to turn on and the heat to start. If it doesn’t come on, turn it up to about 85-90 degrees. This guarantees it won’t keep turning on and off during troubleshooting. Problems related to the filter are the typical furnace issues. This is mainly due to the fact that homeowners frequently forget about it. A filter is made to clean the air that comes inside the furnace and the heated air that flows into the home. If the filter is dirty, the flow of air is compromised which creates pressure and heat build-up in the furnace. Today, newer furnace models are more energy efficient and sensitive to this issue, meaning they will spontaneously shut down before too much dirt has collected, thus suggesting you to get it cleaned. Older furnaces, on the other hand, will keep on working, but with a lot less heat production and limited effectiveness. So how can you verify if this is the problem with your furnace? First off, you need to inspect the filter for dirt accumulation. Don’t buy cheap filters. These often have a type of oil that gathers even more dirt. Soon, they are too saturated to be utilized at all. Secondly, you can examine for filter damage by listening for it when the furnace is on. If you hear a whistle sound, most likely there is an issue. Once the furnace doesn’t receive enough air coming through the filter, the air comes in through wherever there is an opening.